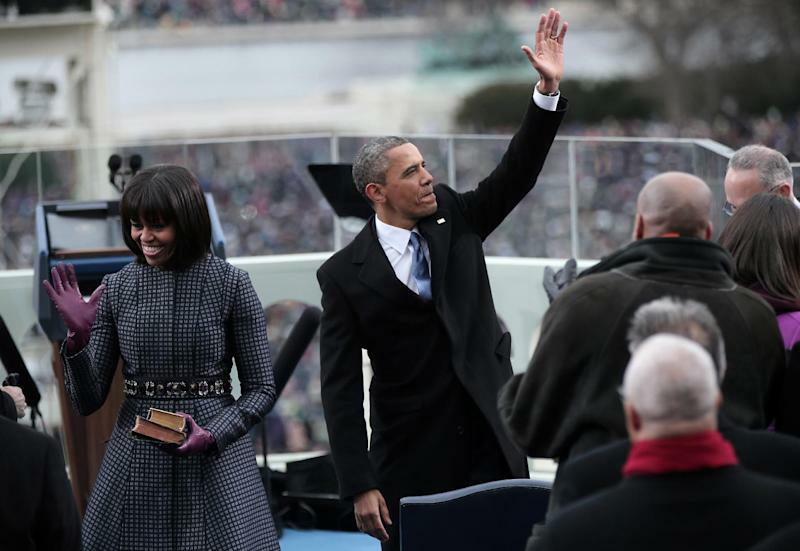 President Barack Obama emphasized three prongs of civil rights, declaring, "We, the people, declare today that the most evident of truths — that all of us are created equal — is the star that guides us still." He went further, with direct mentions of equality regardless of race, gender and sexual orientation. He referenced both Selma and Stonewall — landmark events for black and gay Americans, respectively — and talked of our country finally seeing its wives and mothers earning an "equal living" for the work that they do. "It is our generation's task to carry on what those pioneers began," he said on this day, which is also Martin Luther King Day in the United States.